First off, happy holidays and happy new year! 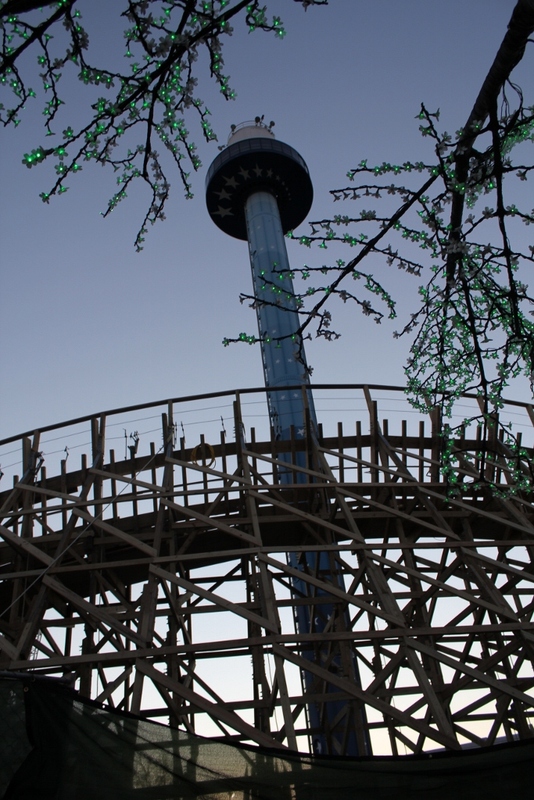 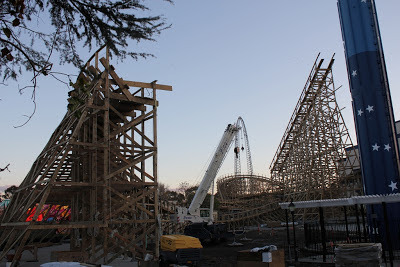 Here's the most recent progress on Gold Striker. 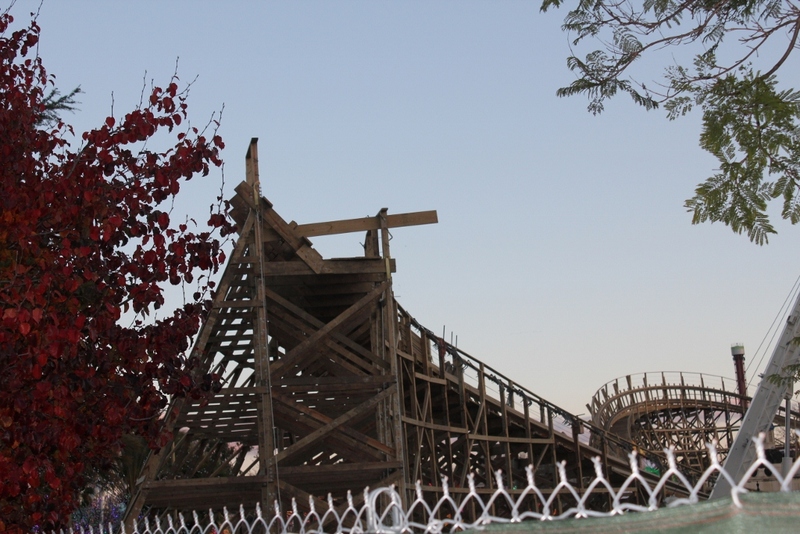 The 'double down' drop continues to grow and is about 1/3 around the Star Tower attraction. 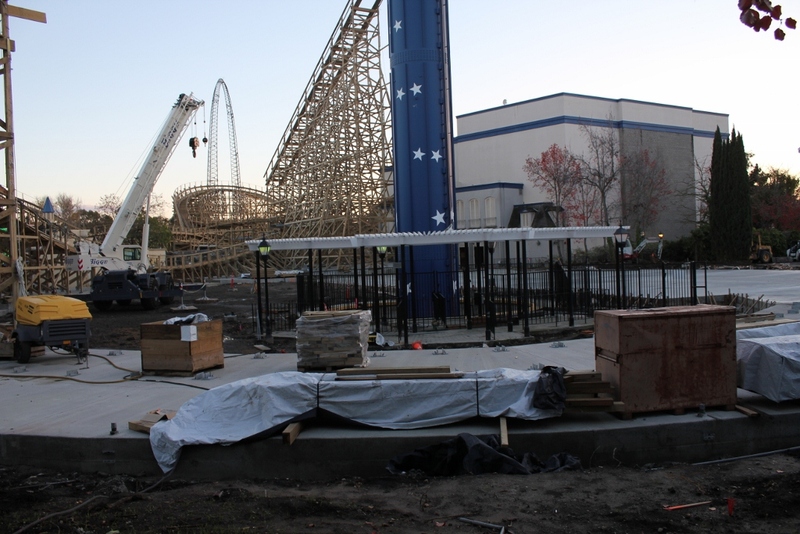 Also it appears that all of the cement work is done around the tower. One thing to consider, it appears as though construction has slowed down a bit, due to storms and of course since it's the holiday, the hard-working construction crew is taking a little well-deserved R&R after hauling with this project all summer/fall. View of the bottom of the first drop from outside the park gates. The lift remains the same as my last park visit on 12/8 but that could change very soon. 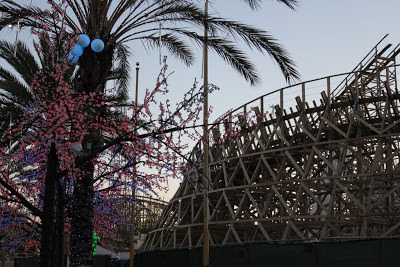 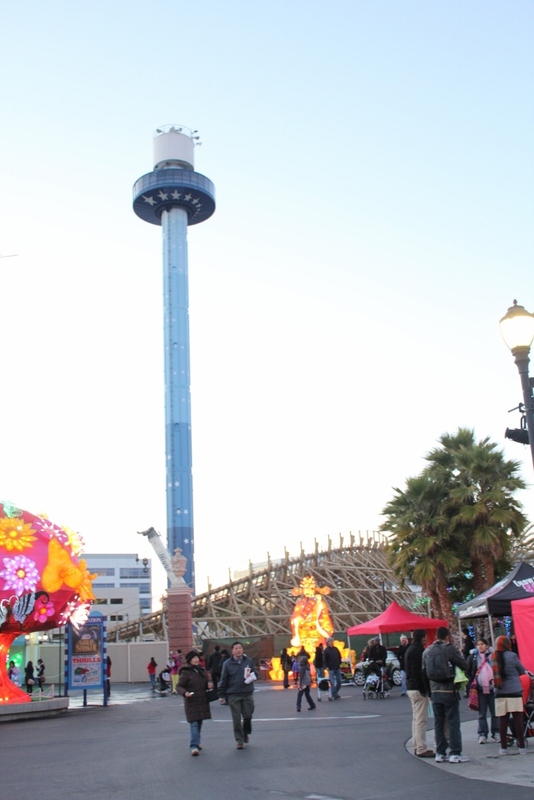 View from inside the park as you head toward the right path around the Carousel. 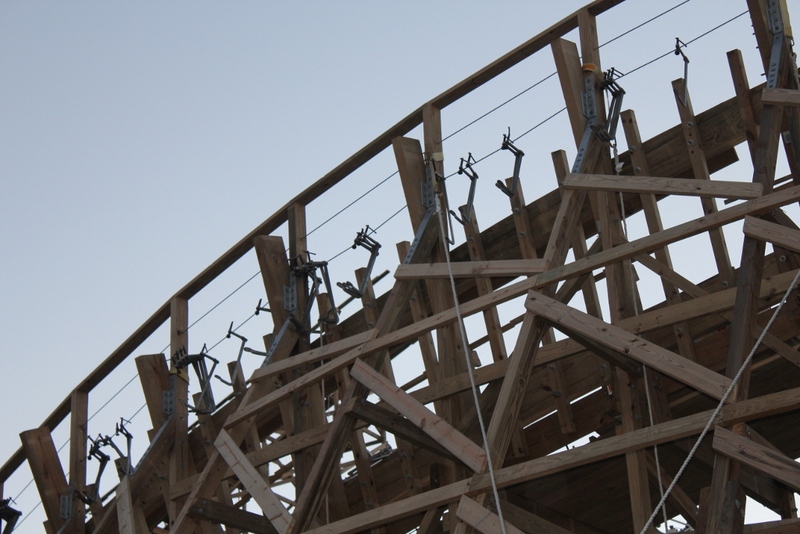 C-clamps await pressing down layers of wood. I've always wondered how wooden coaster track has been shaped. 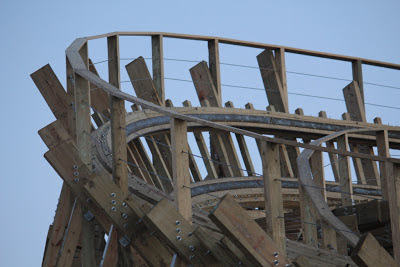 Midway curve has received its steel tracking. 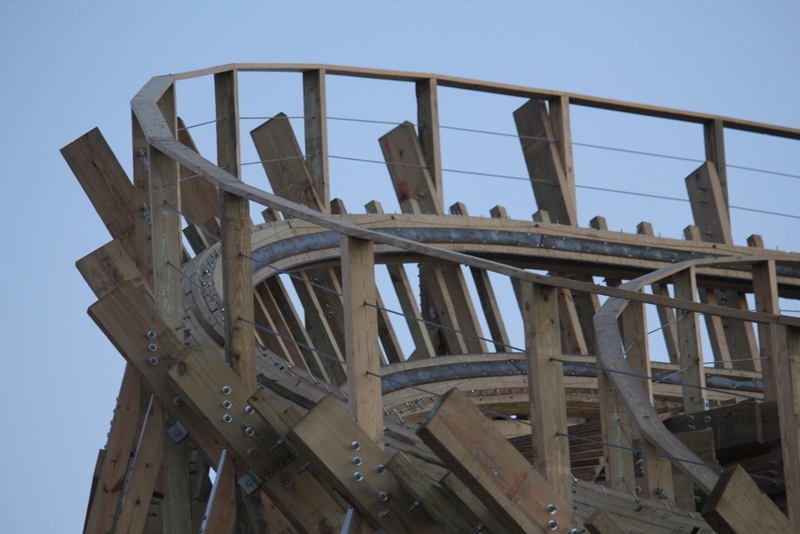 A close up of the highly banked curve, complete with steel tracking! 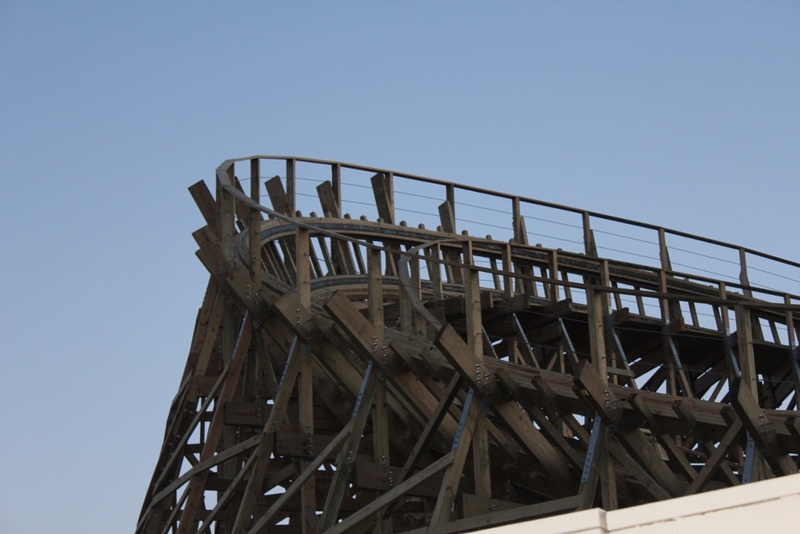 And a final look at the structure before we venture into the rest of the park. 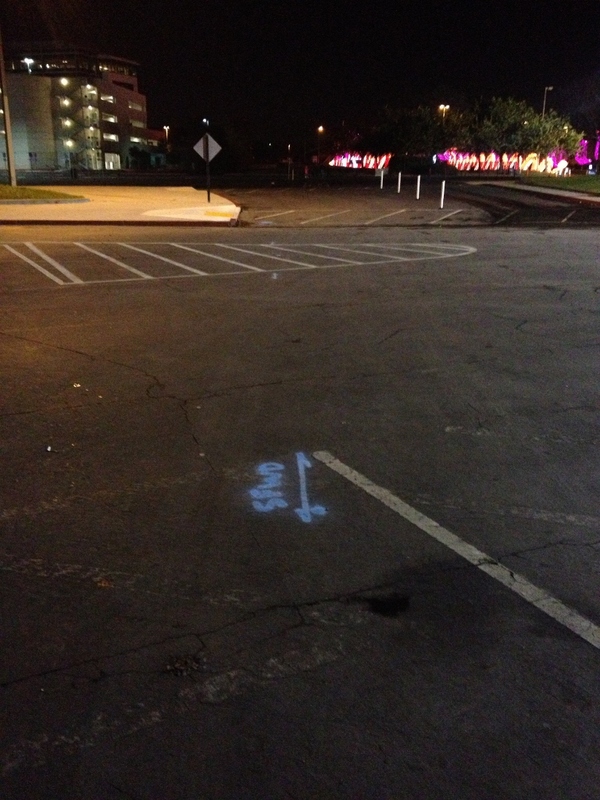 When leaving the park, I noticed some markings on the parking lot, throughout the lot. 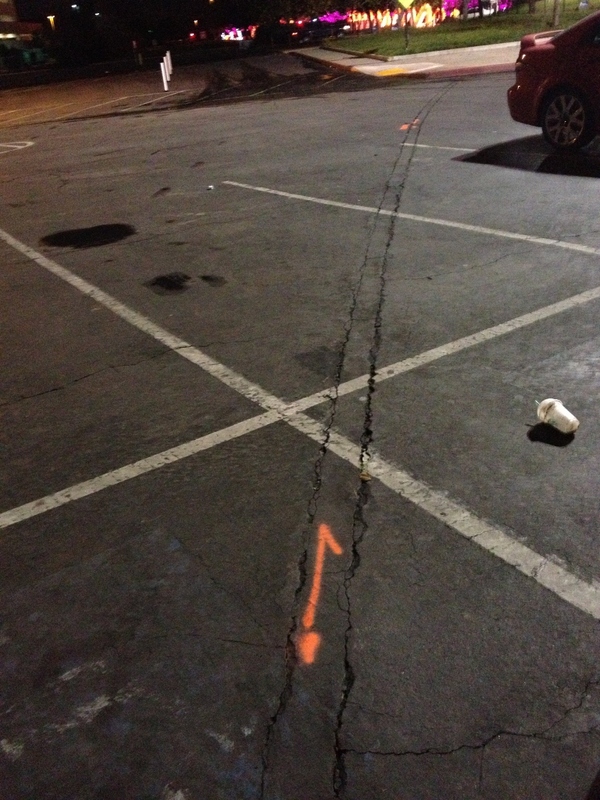 I can only guess that the parking lot will be getting some re-routing due to the 49er stadium, perhaps to improve traffic flow.